Although measuring your kitchen or bathroom for a glass splashback can be a daunting prospect for those who have never attempted the task before, it is not really that complicated. However, there are few important factors that you will need to consider both before and during the measuring process. That is why we have created this Video and Measuring Guide for you, to enable you to measure accurately and to help you to provide us with all of the information that we require to make the whole process run as smoothly as possible. 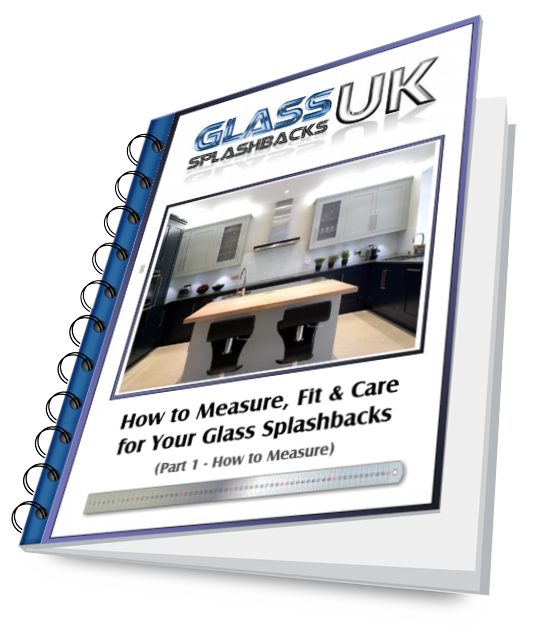 If you would like to receive a copy of this Measuring Guide, please complete the form by clicking here and we will send you a copy. We have also produced a Fitting Guide and a Caring Guide which are also available to both view online and download. Simply follow the link at the bottom of the page.